May 11, 2017 August 25, 2017 - by HAHAPPY - 2 Comments. 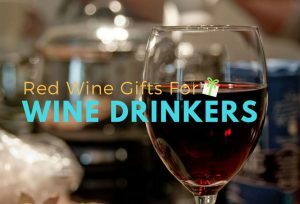 If you’re looking for fun, adorable, and cool Gifts For 12-Year-Old Girls (daughter, niece, sister…), you’ve come to the right place! 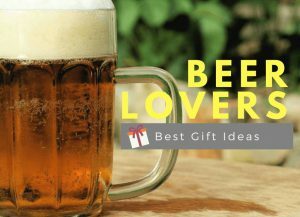 We’ve listed 12 gift ideas about what to get a 12-year-old for her birthday. Girls at the age of 12 are considered as young teenagers, they‘re becoming more independent as well as smarter, and they also have strong interests and personality. 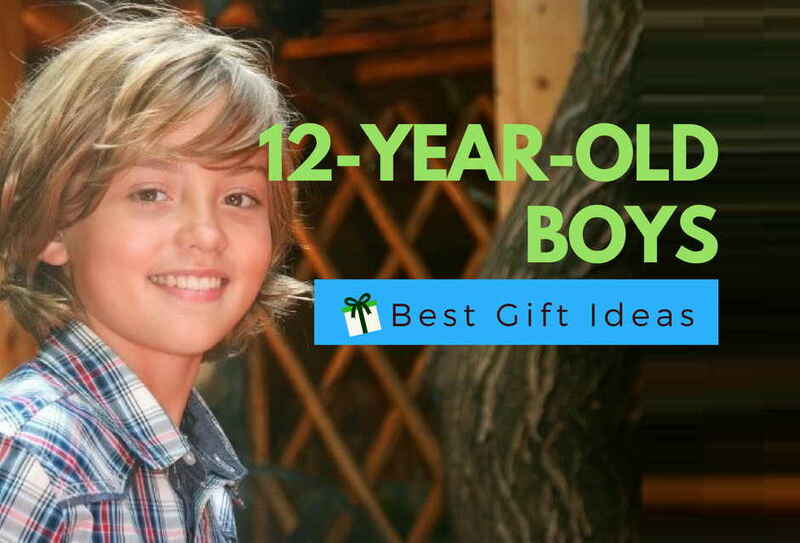 So what do 12-year-olds like for their birthday? 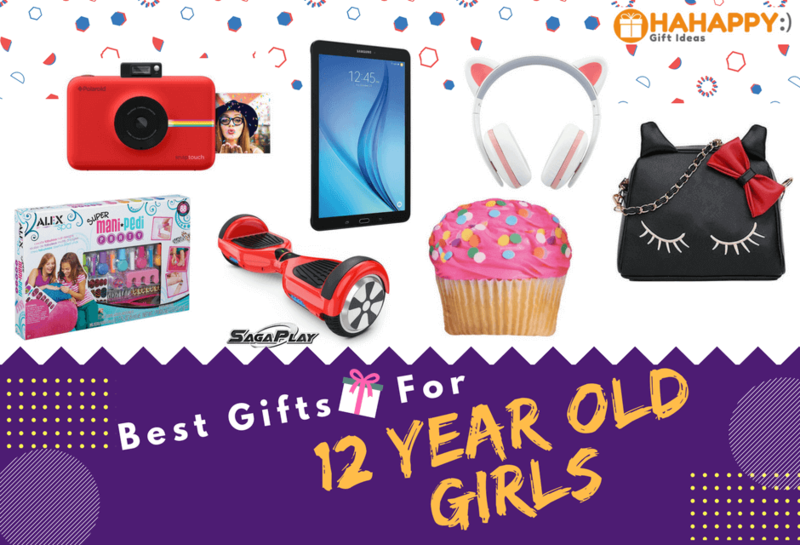 Here’s a list of gift ideas for 12 yr old girl, from a craft set to books, cool gadgets, fashion items, beauty galore, outdoor toys, and other adorable stuff that your budding teenage girl will enjoy. If you looking for gift ideas for 12-year-old daughter, give her Polaroid Snap Touch Instant Digital Camera and you can’t go wrong. With this Polaroid Snap Touch and it’s ZINK Zero Ink Technology, your 12-year-old girl will love to take a digital photo, print it immediately, and share with her friends! 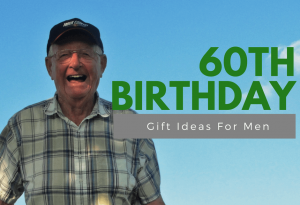 It’s pocket-friendly and fun! 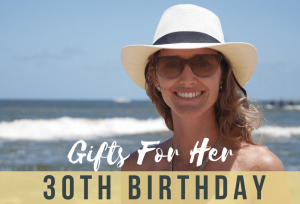 What to get a 12-year-old for her birthday? 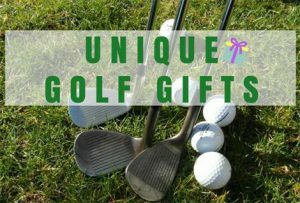 Pamper your sweet 12-year-old girl with the amazing Sky Organics Kids Bath Bombs gift. Girls can’t get enough of this fizzy bath bombs that dissolve, color the water, bubble, fill the bathroom with fruity scents, and reveal a fun surprise toy inside! 12-year-old girls need their own headphone set for interactive learning at school or just for entertaining during long car journeys. 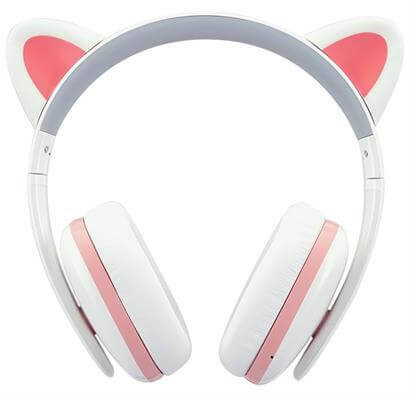 The fun and unique Censi Bluetooth Cat Ear Headphones is sure to be one of the best gifts for 12-year-old girls. 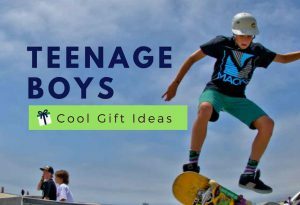 No ideas about what do 12-year-olds like for their birthday? The ultimate Harry Potter Paperback Box Set is absolutely gorgeous and great gift ideas for young teenagers who love reading stories about Wizards, Witches, Friendship, and Love! 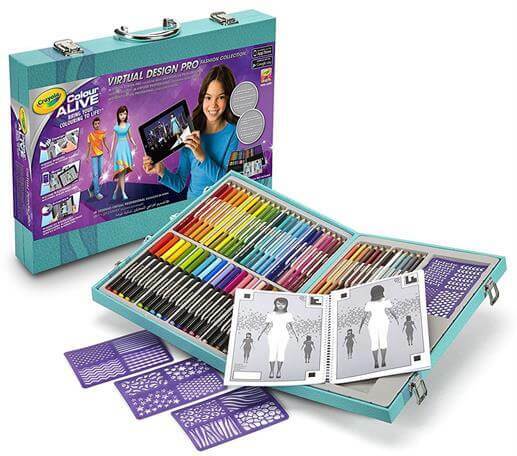 With this Crayola Virtual Design Pro Fashion Set, your budding fashion designer can bring her own vivid imaginations to life by combining traditional coloring with an interactive virtual experience. The Crayola Virtual Design Pro Fashion set includes all the thing aspiring fashion designers need to begin creating their own unique collections for a virtual runway show, just like professional fashion designers. 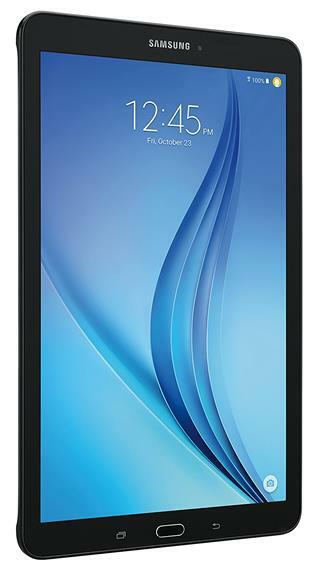 Samsung Galaxy Tab E 9.6 is the perfect gift for any twelve-year-old girls. 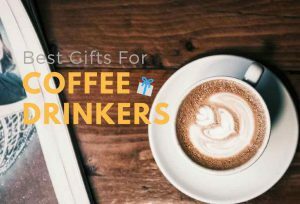 At the very least the featured Kids Mode gives parents peace of mind while offering a colorful, engaging gadget for youngsters to learn and play. 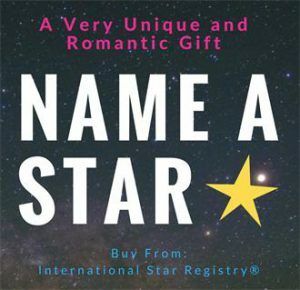 Its value comes from its premium features with an affordable price. Can you think of a more cute room accent than a sweet cupcake pillow? 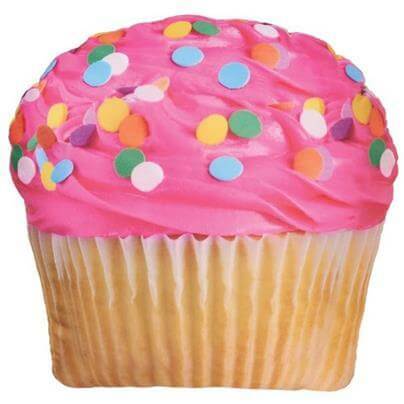 This Pink Icing Cupcake pillow makes our list of gift ideas for 12-year-old girls due to its high-quality construction and super adorable designs. If you’re looking for a wonderful gift that guaranteed to brighten your young girl’s room as well as her heart, the Pink Icing Cupcake Pillows is the perfect, super imaginative choice! 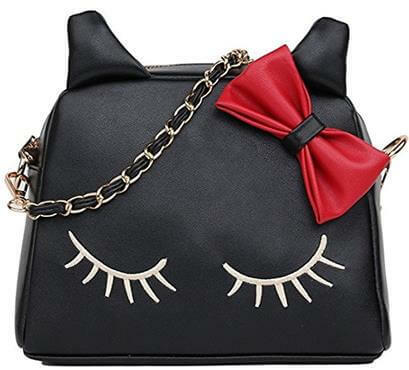 If your 12-year old girl likes fashion and you want to give her a pretty, cute and stylish shoulder bag that makes her become the focus of the crowd, this stereoscopic Cat Messenger Tote Shoulder Bag is a perfect choice! It’s great for everyday use or any special occasions, this adorable shoulder bag makes a huge statement. Fun, style and fashion come together with Alex Super Mani Pedi Party! Girls will enjoy creating unique, fabulous nail designs for themselves and invite their friends to get funky too! 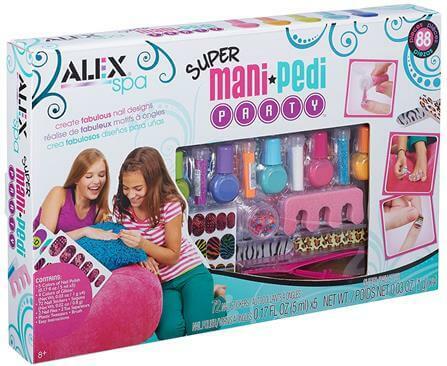 Buy the ALEX Spa Super Mani Pedi Party set if you’re looking for a very fun gift for a sweet young lady. It brings style, fashion, and fun together. 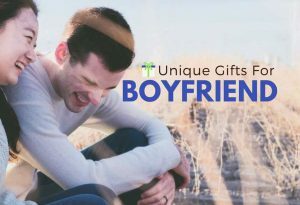 The Tiffany blue color, water wave design, quality wooden craftsmanship and quality velvet lining, make the SONGMICS Girls Music Jewelry Box becomes the sweetest gift choice for girls. 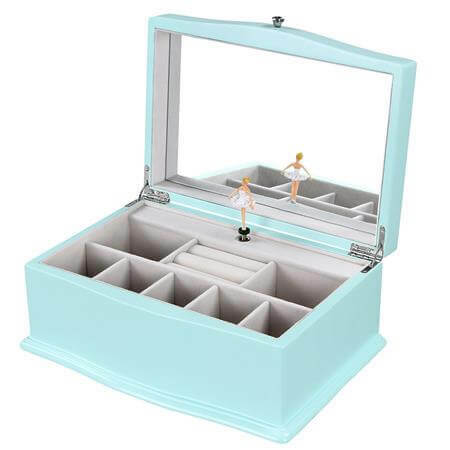 This girls jewelry case, with superior artistry design and great craftsmanship, is no doubt a fantastic gift for young girls, and will certainly bring tidy, joy and beauty to them. 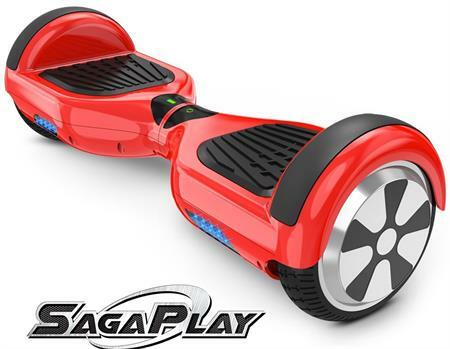 Recently the electrical hoverboard industry took the world by storm as it demonstrated a new innovative way of transportation, and the hoverboard by SagaPlay is a great and safe choice for young riders. This durable hoverboard has achieved the highest standard in regards to safety after successfully becoming UL 2272 Certified, meaning no potential fire and electrical hazards. Casio Baby-G Watch is an ideal choice if you’re looking for a stylish watch with more features as a gift for your 12-year-old girl. 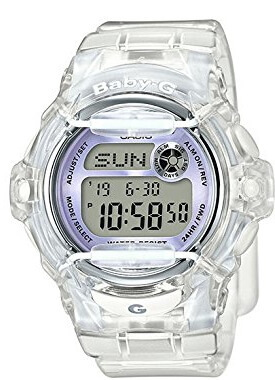 This semi-transparent Baby-G is a perfect fit for girls and never be out of trend. Though compact in size, this model is a perfect fit for any young girl and will make them look sporty, glamorous, and chic. 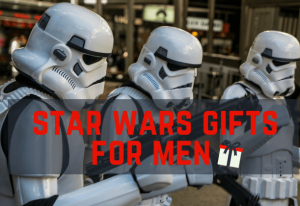 I have nieces that I buy for and the gifts that I used to receive are so different to what girls want now. 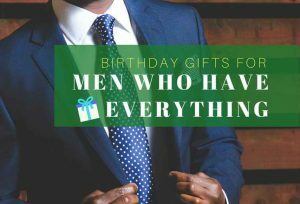 Items like expensive make up brushes and expensive phones i.e. the tablet on your list. Although the cupcake pillow does look cute and not too expensive and the headphones are cute.